The Raspberry Pi series of single-board computers. Initially they were developed to promote teaching basic computer science in schools, but then became more popular than expected. 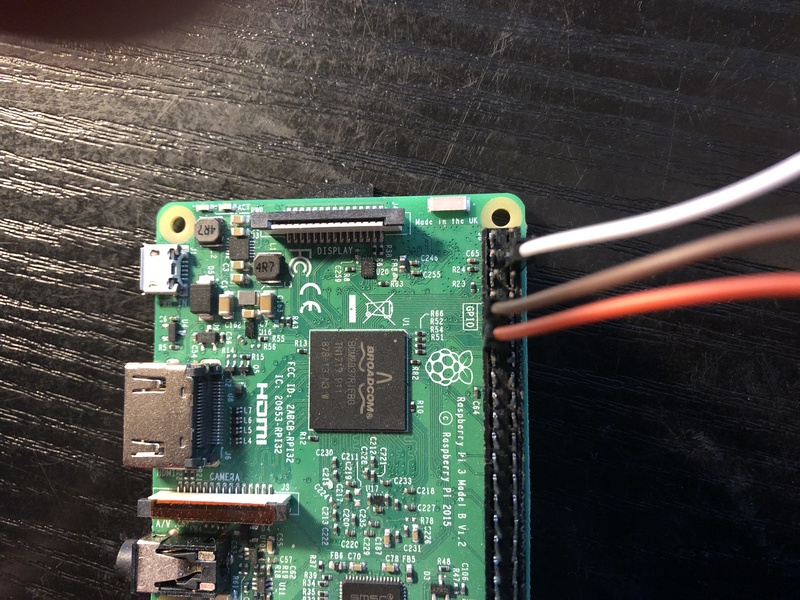 In this article I will use Raspberry Pi 3 Model B, but with very few changes you can implement the same functions on all other models. A little bit strange, isn’t it? A movement detector with a turtle shell. I will give you a basic explanation of how it works and why we need such construction. This motion sensor consists of a fresnel lens (the turtle shell), an infrared detector (lies under the shell), and supporting detection circuitry. The lens on the sensor focuses any infrared radiation present around it towards the infrared detector. Our bodies generate heat, and as a result, this heat is picked up by the motion sensor. 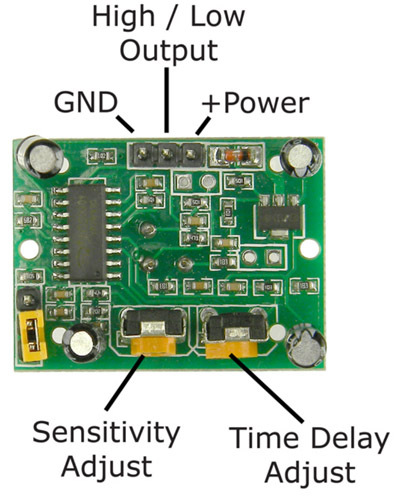 The sensor outputs a 5V signal for a period of one minute as soon as it detects the presence of a person. It offers a tentative range of detection of about 6–7 meters and is highly sensitive. 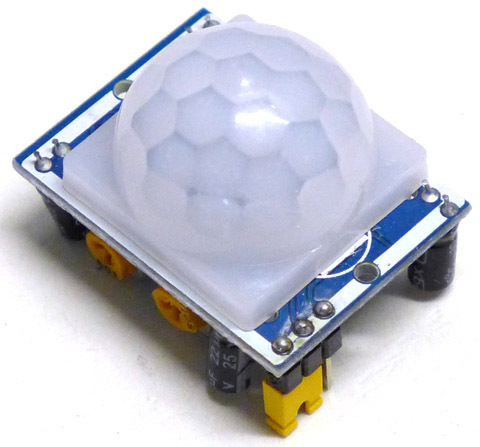 When the PIR motion sensor detects a person, it outputs a 5V signal to the Raspberry Pi through its GPIO. 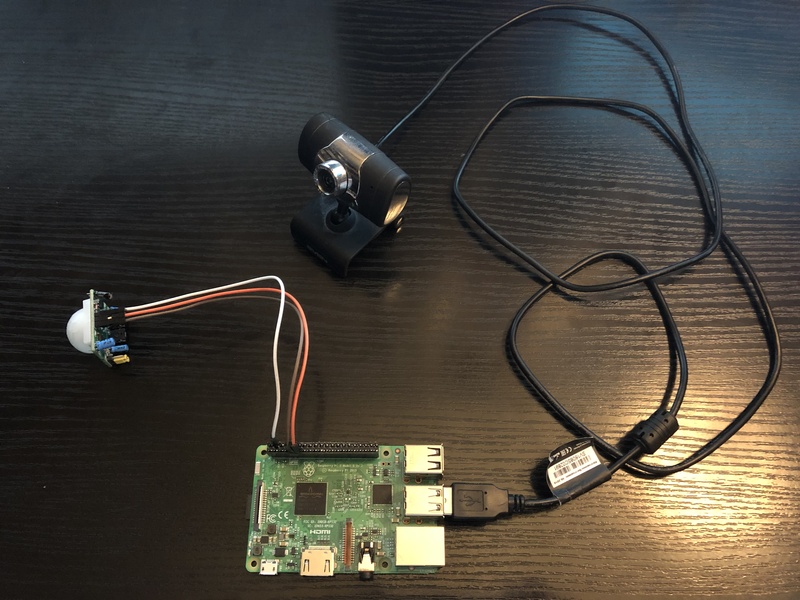 You can use a USB web camera or Camera V2 module, whichever you like. 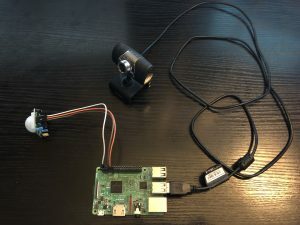 Usually the Raspberry Camera module provides a better quality, but a USB camera is a little bit easier to use and connect. 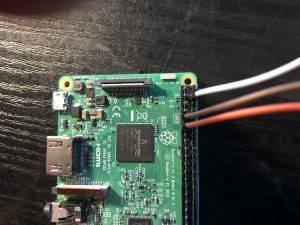 Those cables are needed to connect different devices to Raspberry. If you are using a web camera, then you will need only three jumper cables. If you have already used your Raspberry and already installed an operating system on it, then you can skip this part. If you have a brand new Raspberry, then you need to prepare it. In this article we will use Raspbian – our official operating system for all the models of the Raspberry Pi. 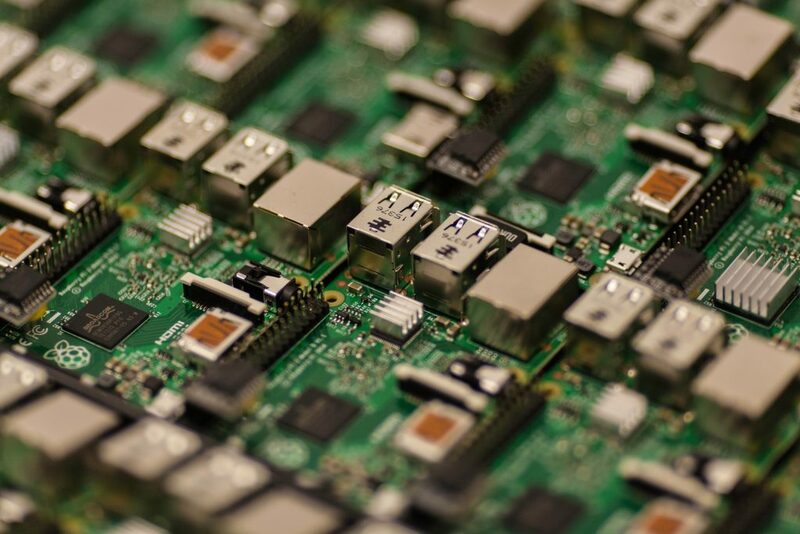 If you are new to programming or not familiar with Raspbian installation process, then you can use NOOBS (New Out Of Box Software), here you can find a guide how to get and deploy NOOBS. Or you can install the Raspbian operating system manually. to upgrade all your installed packages to their latest versions. Generally speaking, doing that regularly will keep your installation up-to-date, in that it will be equivalent to the latest released operating system version. Now Raspberry is ready and we can connect our sensor to it. We will need three jumper cables and Raspberry pin mappings (source of the image). Orange: GPIO (general-purpose input/output) pins. 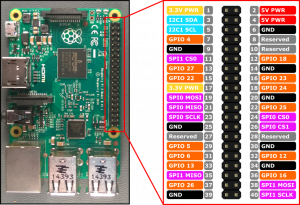 As you can see, each GPIO pin has a number (inside the orange rectangle) it’s also known as BCM (Broadcom SOC channel) numeration and also each Raspberry pin has an independent physical (Board) index (in the gray square). BCM indexes can go in different order in two different models of Raspberry, so we will use Board index of pins (in gray square) because they are more reliable. Our sensor has three pins: Input Power, Output Signal, Ground. So, for example, we can use the 2nd Raspberry pin for the power input, 9th for the ground and 7th for the data output. After that our sensor is ready and we can proceed and write a script to monitor the sensor signal. 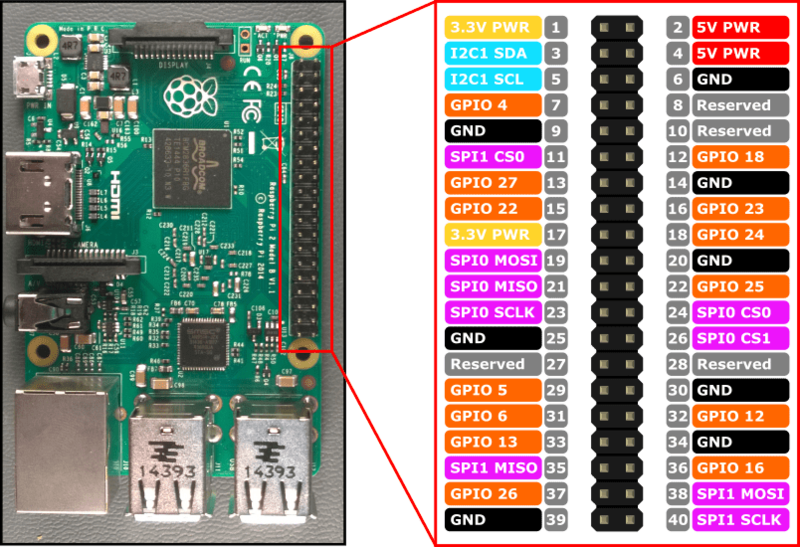 The GPIO.BOARD option specifies that you are referring to the pins by the number of the pin – i.e. the numbers printed on the board, on our previous picture – it’s the number in the gray square. The GPIO.BCM option means that you are referring to the pins by the “Broadcom SOC channel” number, these are the numbers after “GPIO”. Unfortunately, the BCM numbers change between Raspberry versions and you’ll need to find out which ones you have to use here. So that’s why we will use GPIO.BOARD mode. Using the command: GPIO.setup(SENSOR_PIN, GPIO.IN) we set the needed Raspberry pin to work as an input channel. And after that we use an infinite cycle to wait for the input on this pin. If the sensor doesn’t detect any movement, it won’t send anything to Raspberry and the signal variable will be equal to zero, otherwise it will be equal to one. You can add a few print statements to debug the sensor state and make sure it’s working. If the sensor is not working properly, check the jumper cables and make sure that you connect them to the right pins. Then take a look at two orange potentiometers situated on the opposite side of the pins (look at one of the previous pictures). If you take the sensor in your hand putting its “turtle shell” down and placing those potentiometers closer to you and pins farther, then the left one will be responsible for the distance and the right one – for the time delay. The distance is pretty obvious: it’s the max distance that the detector can “see” the movement from. The distance can vary from 3 to 7 meters. To increase the distance, turn the potentiometer clockwise and anticlockwise – to decrease. 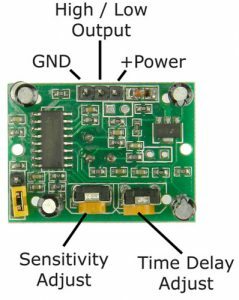 Time delay is the length of the sensor “alarm” signal. In other words, this potentiometer sets the time interval for the sensor to be sending the detection signal to Raspberry. Again, you can increase this value turning potentiometer clockwise or anticlockwise to decrease. Time delay can vary from 0.3 to 600 seconds. So, if for example your sensor is always signaling, try decreasing the time delay and maybe the distance. Keep in mind the sensor detects the movement not only directly in front of it. But to detect the movement is only one part of the deal. Maybe you will want to know not only about the fact that someone or something moved but additionally see who distracted our sensor. To do that, we will need a camera device. You can use a usual USB web camera or Camera V2 module. Camera V2 module allows you to make photos in high resolution. On the other hand, USB camera is easier to connect and use. If you are not using the default Pi user account, you need to add your username to the video group, otherwise you will see ‘permission denied’ errors. The final step: we need to run this script from our Python code when the sensor detects the movement. To do that, we need to modify our sensor Python script. As you can see, we added the line: os.system(‘/home/pi//webcam.sh’). This line uses os.system() function to execute the command (a string) in a subshell. As a parameter, we pass the full path to our .sh script. Replace “motion_seonsor.py ” part with the path to your own Python script. After that press: Ctrl+X to exit the editor and press Y when prompted to save changes. Now you can reboot your system and the script will be started automatically. This construction allows you to track movement and capture the pictures of the movement. All the pictures will be saved on Raspberry Pi disk. We have a few ways to upgrade our project, one of them is to implement an additional way to notify you about the detected movement. We are going to write about it in one of our future articles, remain subscribed – it will be interesting!